Before the Holiday Season we have run a Food Drive for the Lincoln Food Bank in October. This is the 2nd year we have done this and with our new location in Omaha we are also collecting food for the Omaha Open Door Mission. This time of year can be hard for many families and this is just one way to try and make this time of year a little easier for them. The Matt Talbot Kitchen has their Husker’s Helping the Homeless fundraising event every year and we helped to sponsor that event in 2010 & 2011. The event was a great success!! We teamed up with Matt Davison and his foundation Creating Captains with a Facebook “Like” drive. If we got 1,700 “Likes” on Facebook we would donate $1,700 to the foundation. We didn’t quite get there but for such a great foundation we made the donation. It was a lot of fun to see so many people get involved. August 2011, Andy’s did a Food Drive with the People’s City Mission and the Omaha Open Door Mission. This drive brought in over 1,500 lbs of food for the two Food Banks. 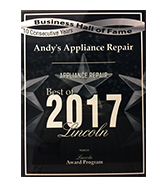 Every June Andy’s Appliance Repair does a matching donation with the audience during Friday Nights Live at SouthPointe Pavillions for the CAC, Child Advocacy Center of Lincoln. In 2011 Andy’s donated $1000 to the CAC and the crowd more than matched that donation making it a very successful evening for such a great organization. In October of 2010 Andy’s Appliance Repair teamed up with the Lincoln Food Bank for a month long food drive. 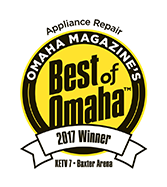 For the entire month of October, Andy’s appliance repair technicians collected 2 cans of food (many times our customers insisted on giving more) in exchange for $10 off of the service call. In the end we, as a team, had collected 5 drums full of food. The food drive was a complete success and it will be come an annual tradition for our company. 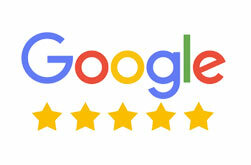 Thank you to all of our customers who supported our effort, without you none of it would have been possible. At Andy’s we also strive to give back to the community that supports our business. Andy’s is proud to support many local charities and non-profits, such as the Child Advocacy Center, Friendship Home and St. Vincent Depaul. 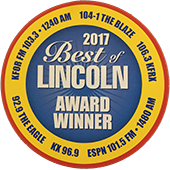 We also donate regularly to sponsor several children’s sport teams, scouting events, and many other important youth activities in Lincoln.